Want to become a DJ? Need some cool sounds? If so, download our DJ Sound Effects and Ringtones to your Windows phone! 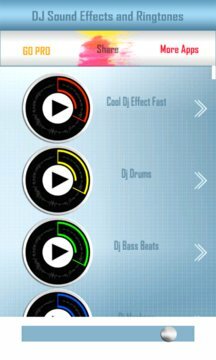 We are bringing a collection of the Best DJ ringtones, tones and sound effects. Set sounds as contact ringtones and identify a caller or callers. Also, you can set dj beats as alarm clock or as a tone for incoming messages. You can have different DJ ringtones, dj music free and so on. Free ringtones are at your disposal, if you want to add some fun to your mobile, DJ download is available now. Feel the beat with DJ sounds collection, and have fun wherever you happen to be. If DJ music is your thing, you can have it as ringtones and sms tones in your device. Customize your phone with these new ringtones and turn your mobile device into a mobile intertainment. Always have your DJ songs handy and there will be no shortfall of fun. 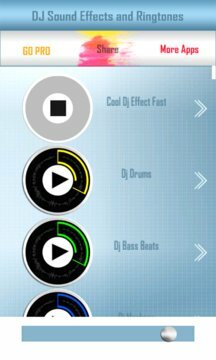 Cool DJ app for free is at your disposal along with sound effects to play with. Choose the ringtone you like best and make your phone sing your favorite DJ song. Enjoy!